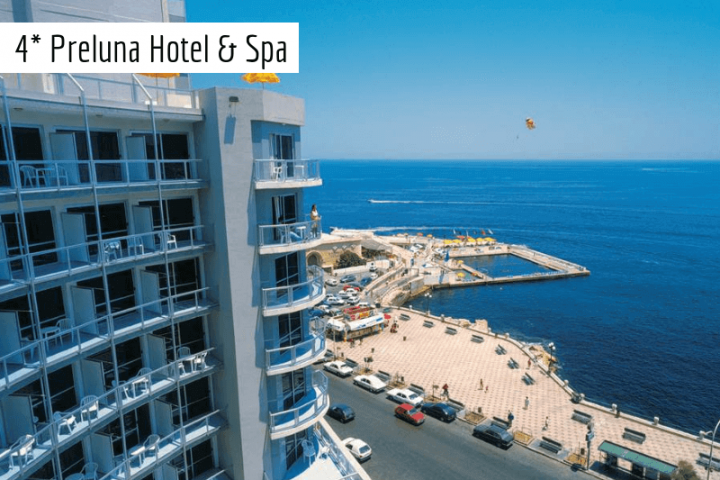 The last thing you should be worried about for your Fitness & Yoga Holiday Retreat in Malta is finding the right accommodation. 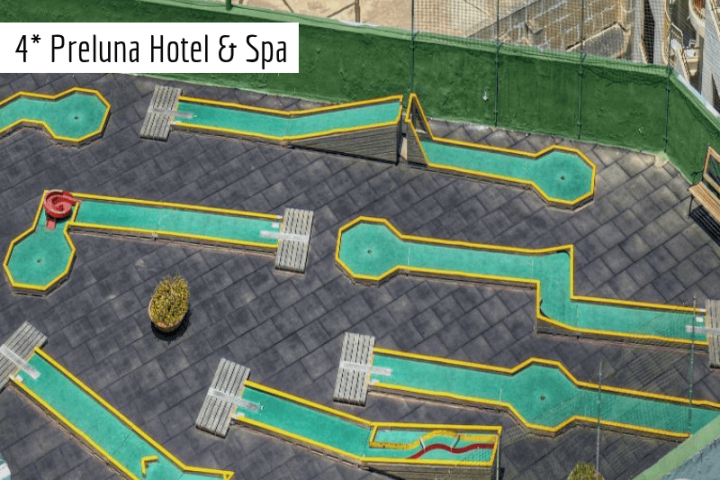 That’s why we’ve done the legwork for you. 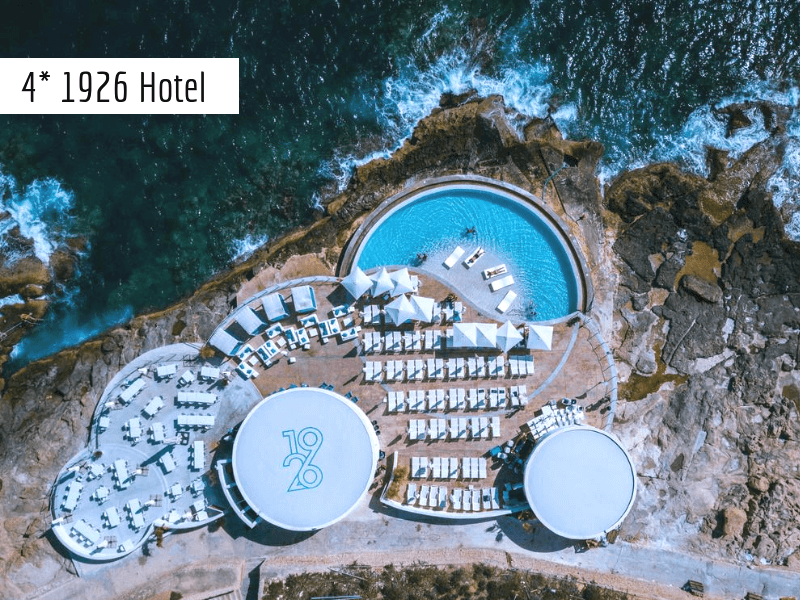 We’ve built up strong relationships with some of Malta’s most dependable Hotels to ensure that regardless of where you choose to stay you’ll be comfortable – all for a great price. 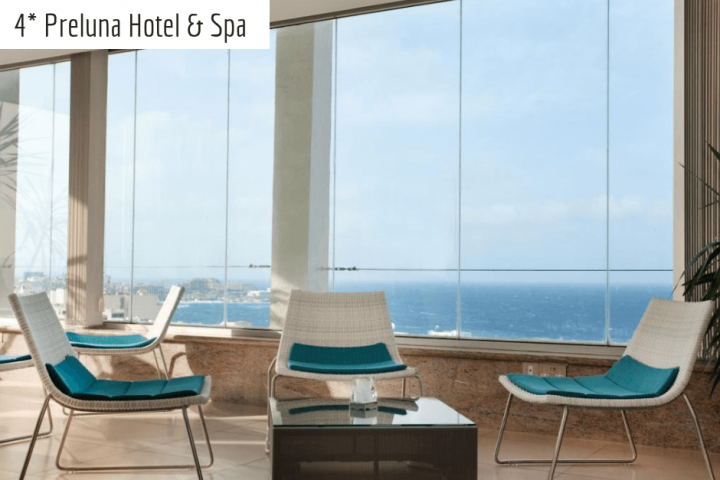 All of our hotels in Malta are carefully selected to match everyone’s individual needs. 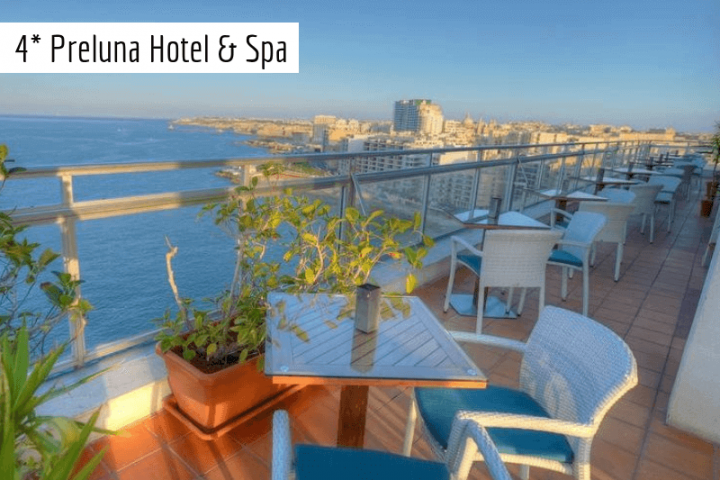 Located next to the sea and in lively Maltese neighbourhood of Sliema or in nearby Gzira, our accommodation always offers you access to the private pool and long sea-front promenade. 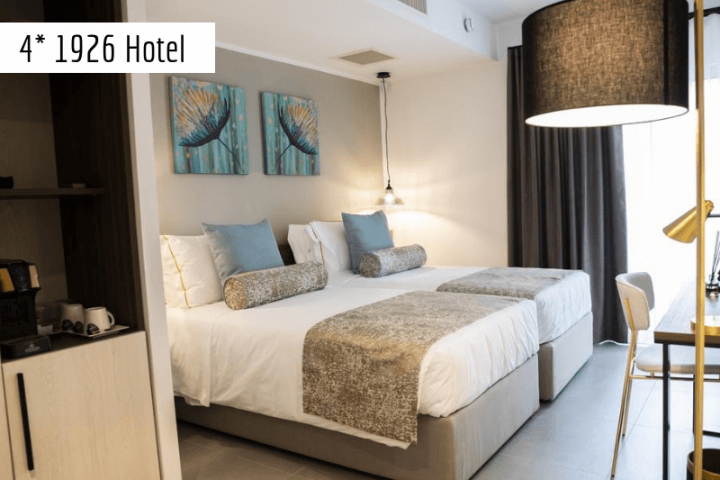 Please note that while we offer specified accommodation in your holiday package, we can not guarantee that at the moment of booking your option will be available. 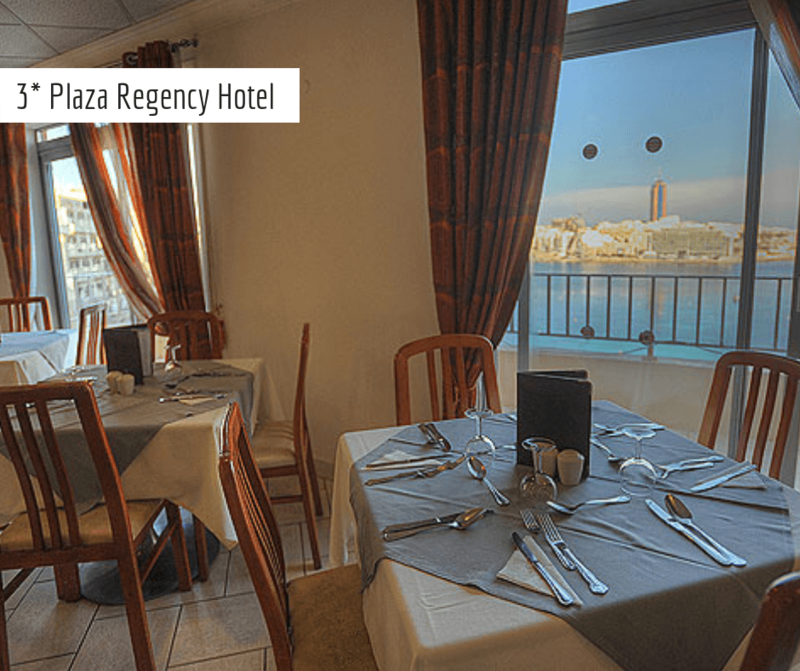 In case your choice is already booked, we reserve the right to change your accommodation in Malta for the most similar alternative. 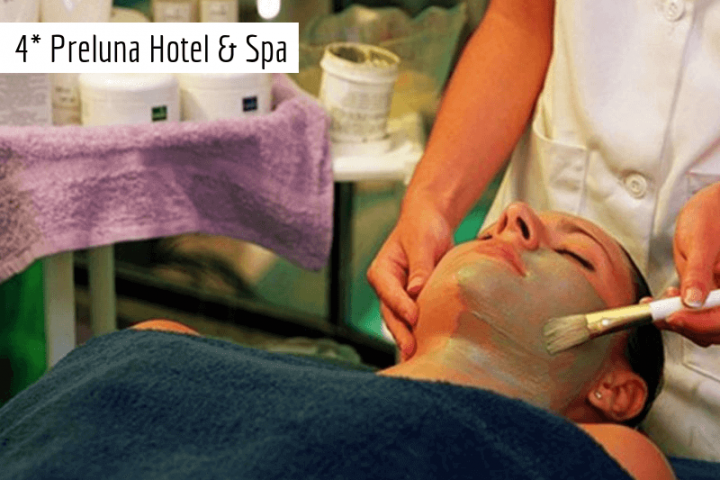 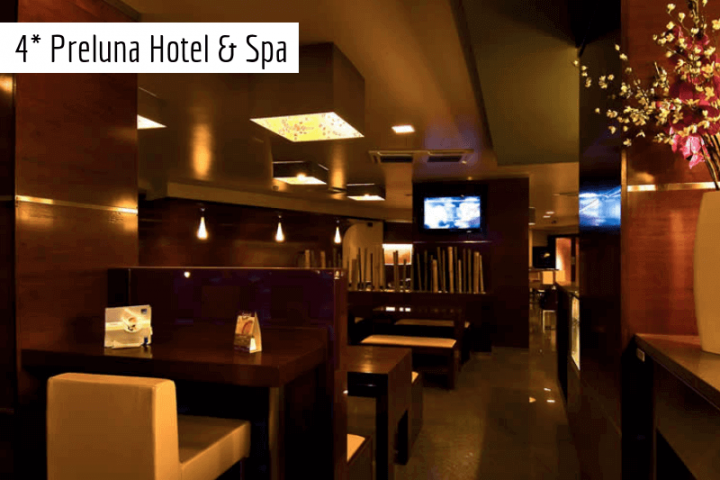 After completing the booking form, you will be informed of the name of your hotel. 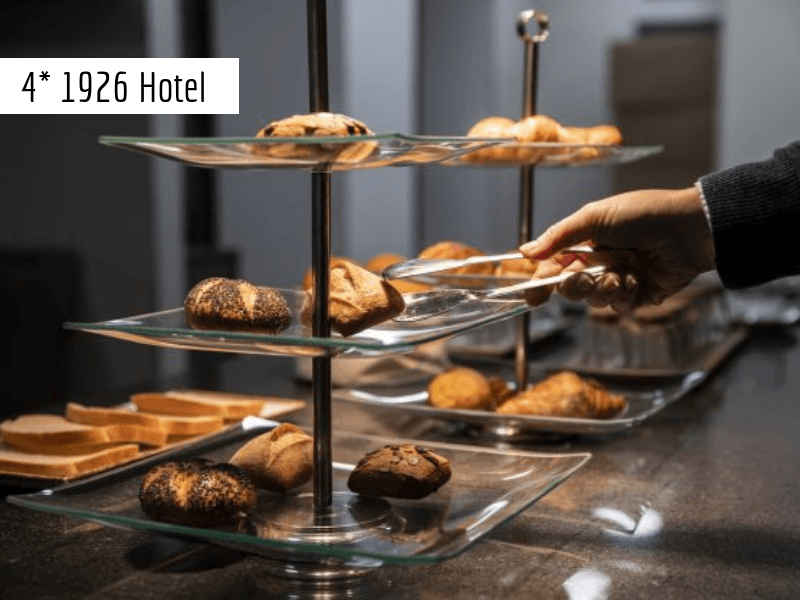 In rare cases that your selected hotel was overbooked, we reserve the right to change your accommodation to another hotel at the same standard or higher. 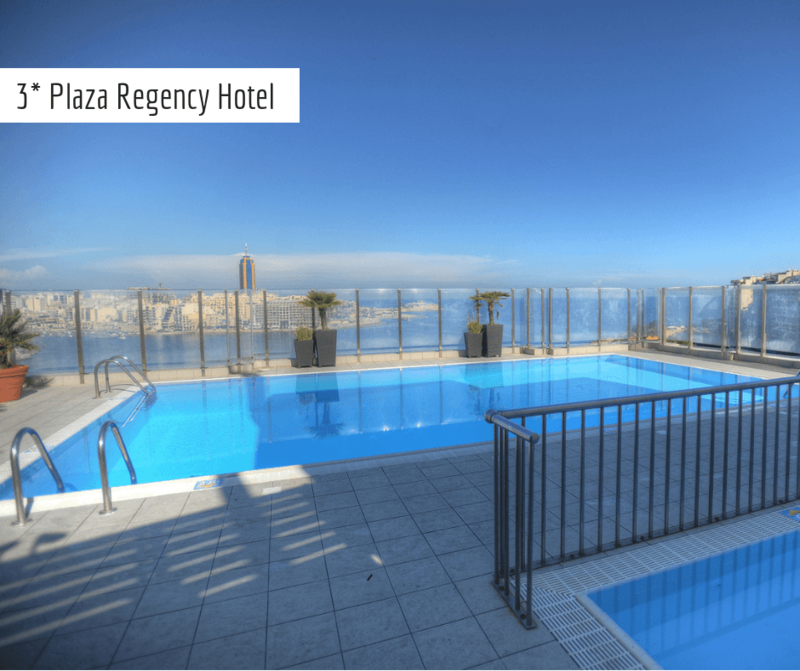 A full refund is possible at the client’s request if a hotel would be of the lower standard or ratings. 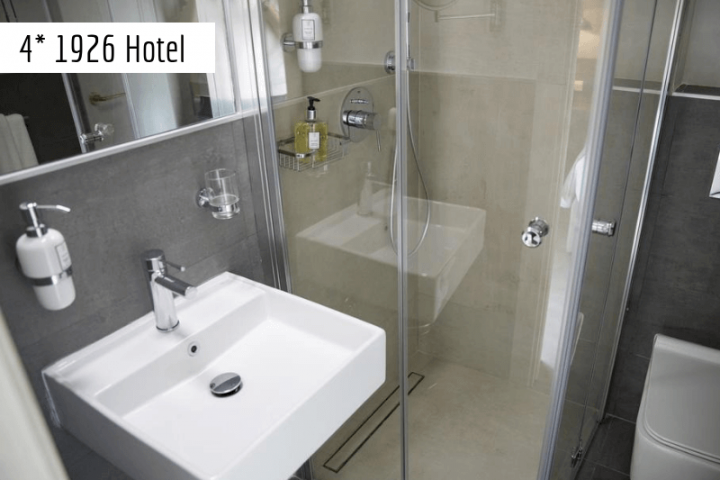 By all means, we take your comfort as a priority and do everything in our power to lodge you in the best room available. 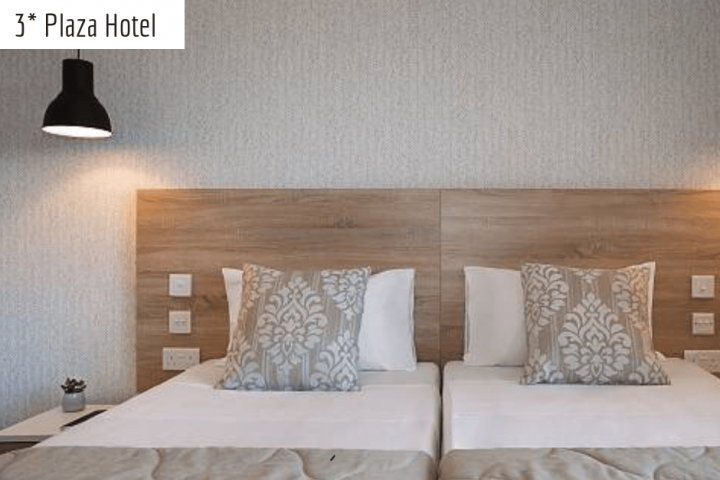 Standard, inland single or twin rooms are included in our packages. 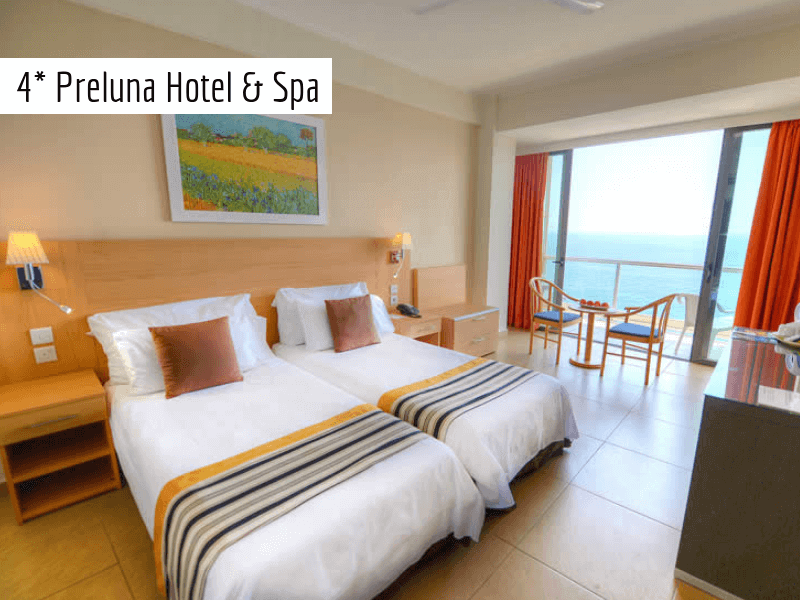 If you wish to upgrade your room to a higher standard (sea view/balcony), please let us know in your Booking Form. 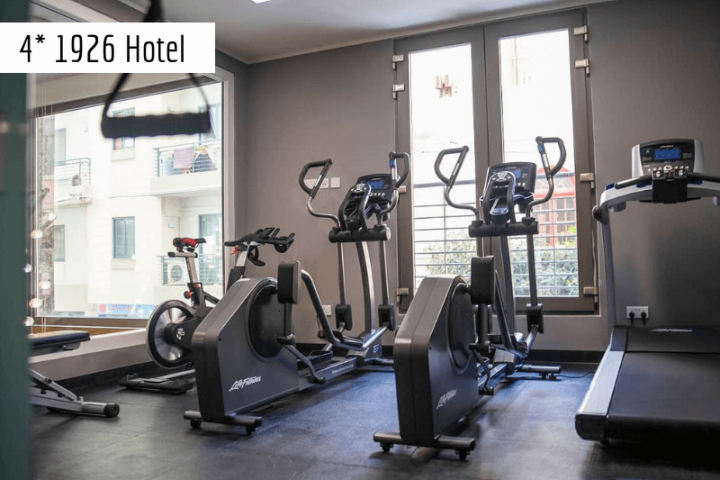 Supplement fee varies depends on the hotel and season but you should be prepared for around 15-25 EUR charge, per room, per night. 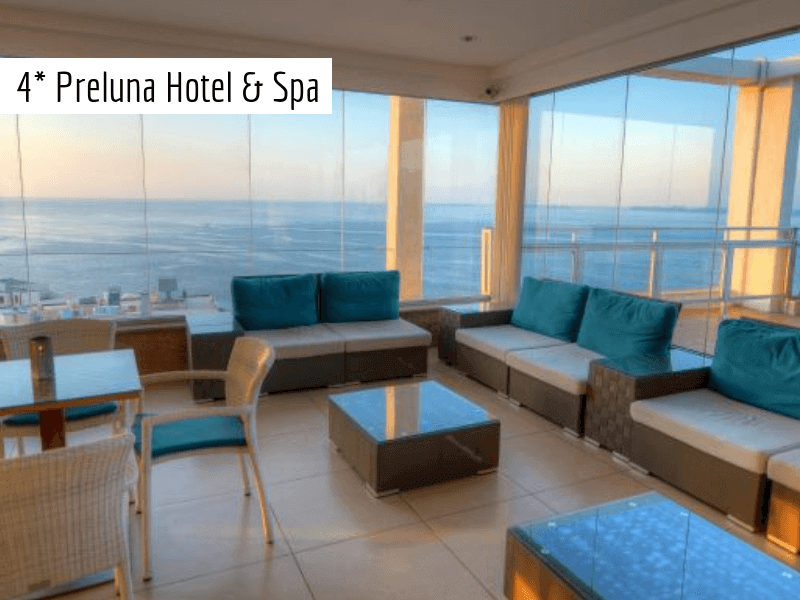 Seaview with balconies single or twin rooms are already included our 4-star Preluna Hotel & Spa Hotel in your basic package. 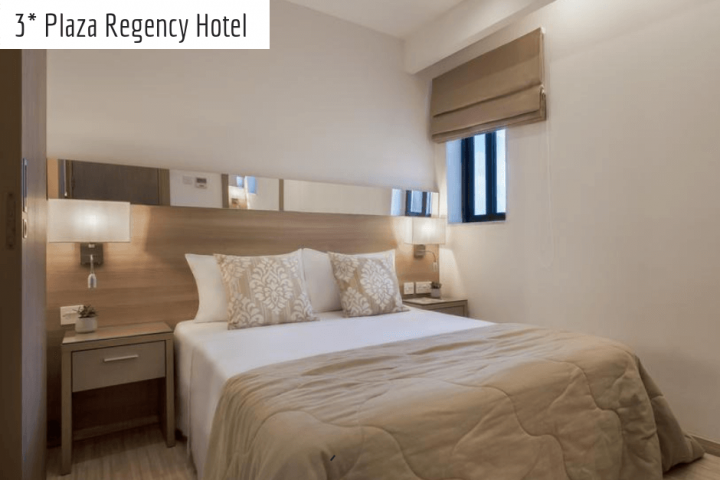 Classic, single or twin rooms are included in our packages. 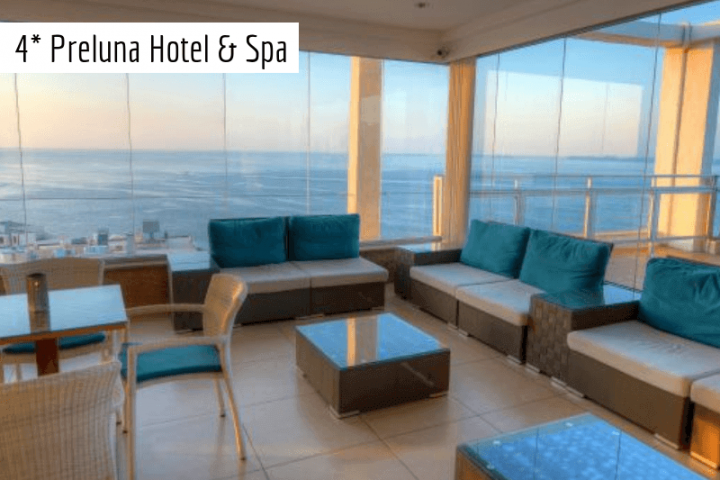 All with the balcony. 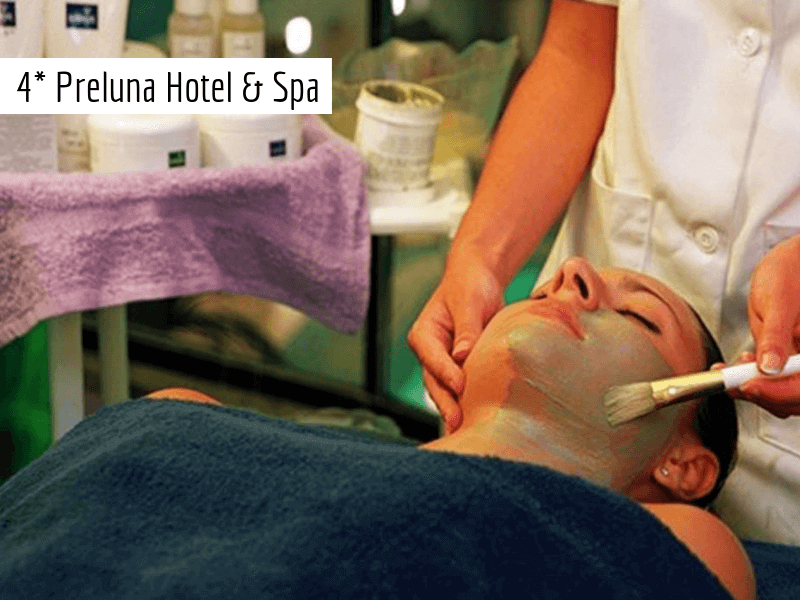 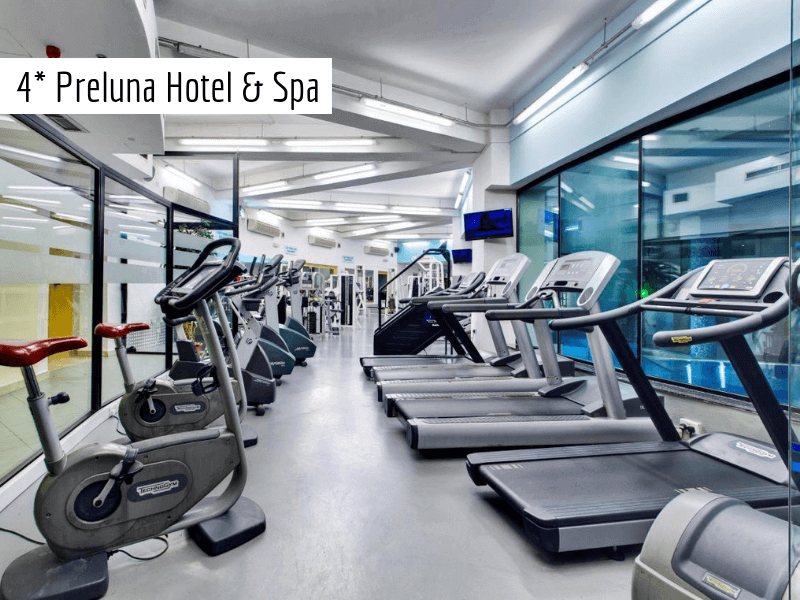 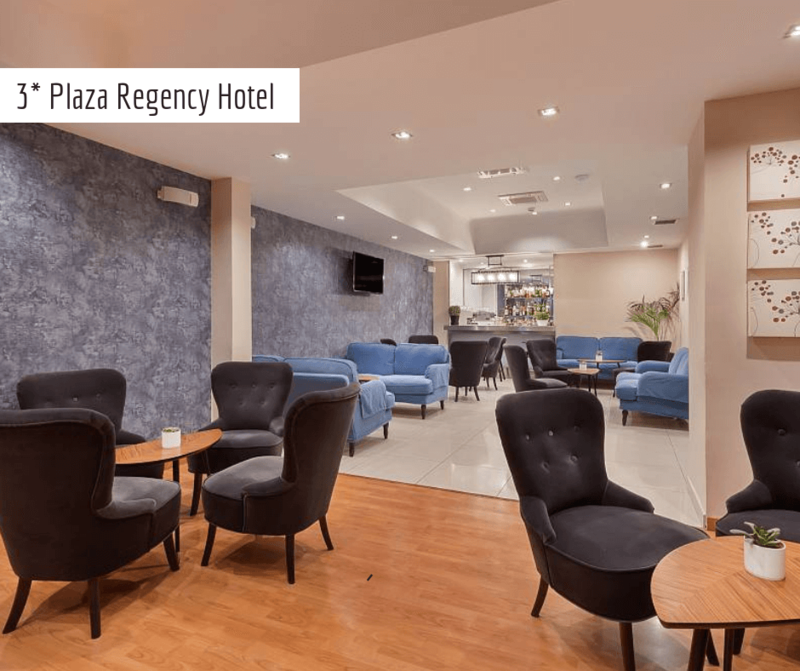 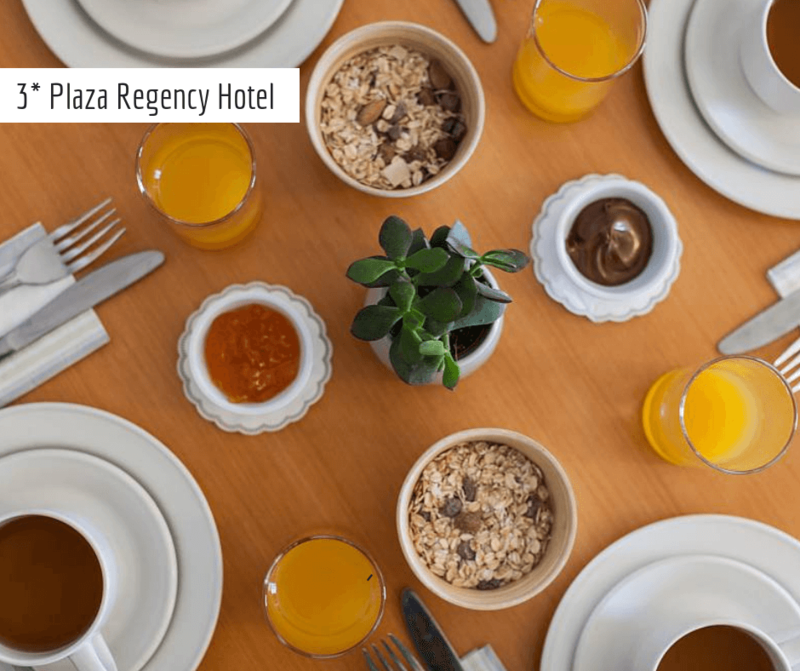 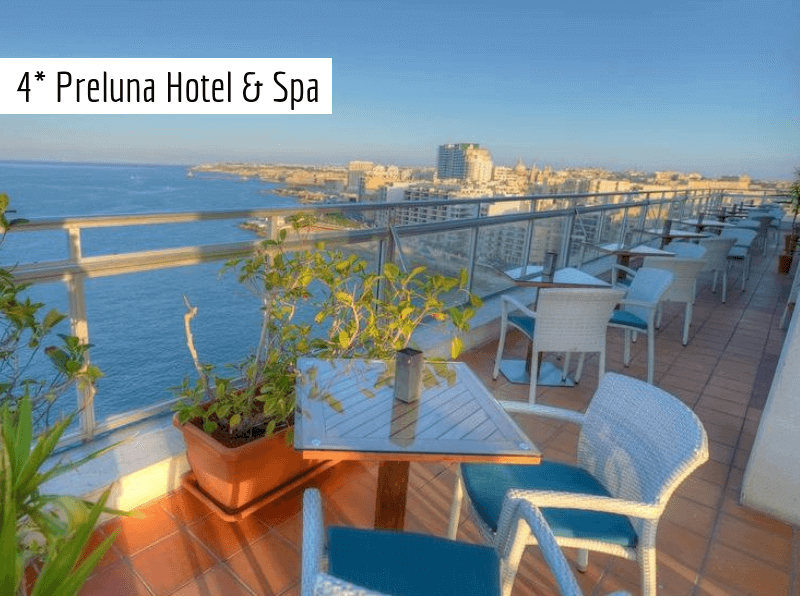 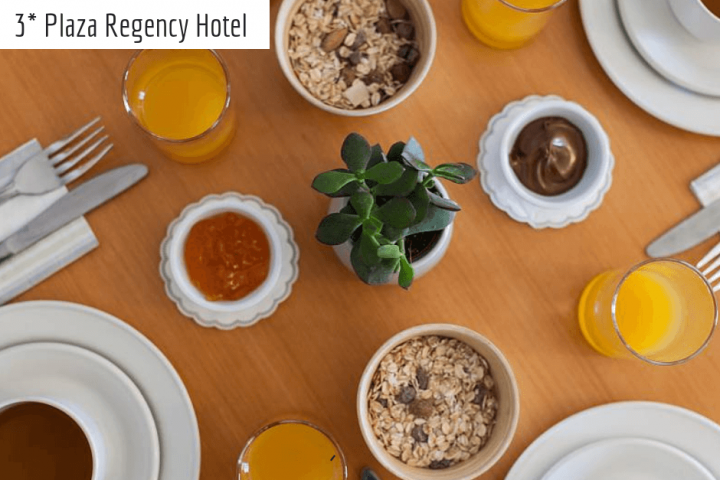 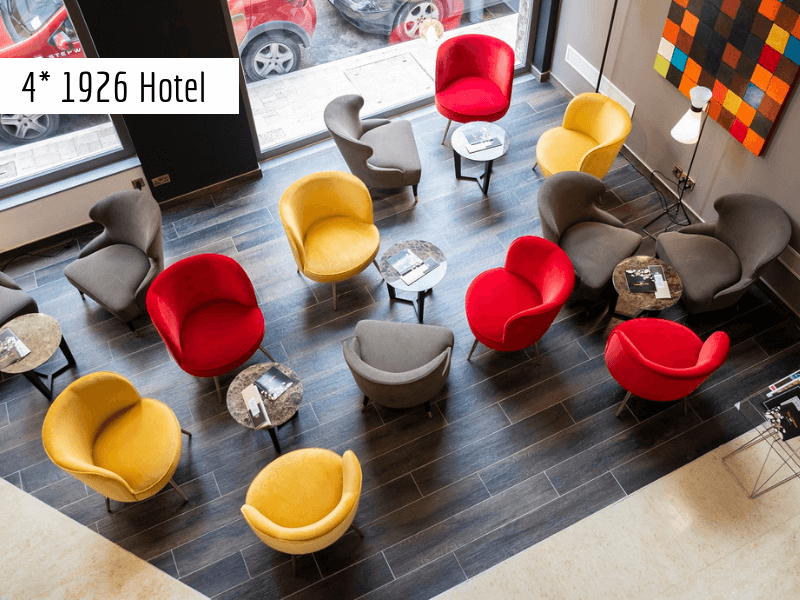 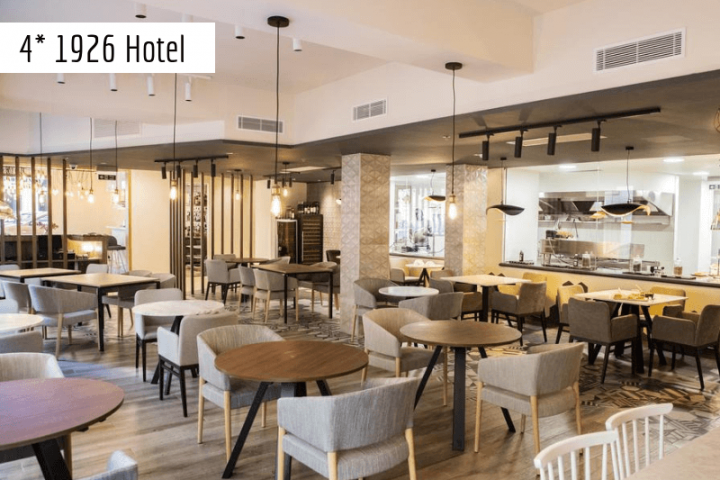 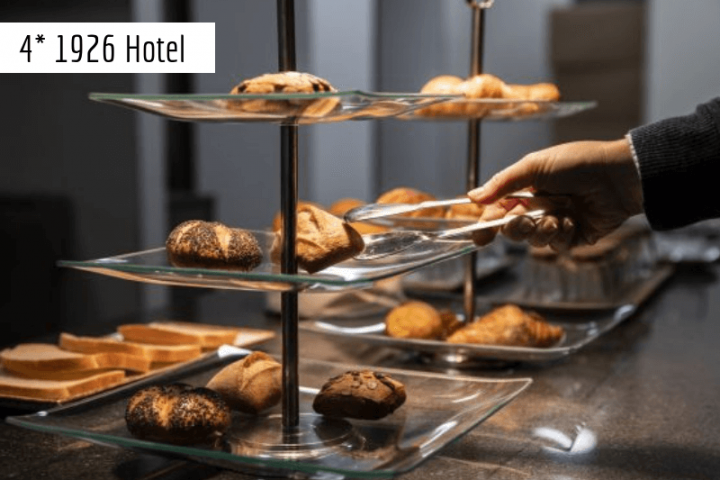 This hotel is located 15-minute walk from our Training Center, on Malta’s prestigious promenade, Sliema’s Tower Road – commonly referred to as “Malta’s Golden Mile”. 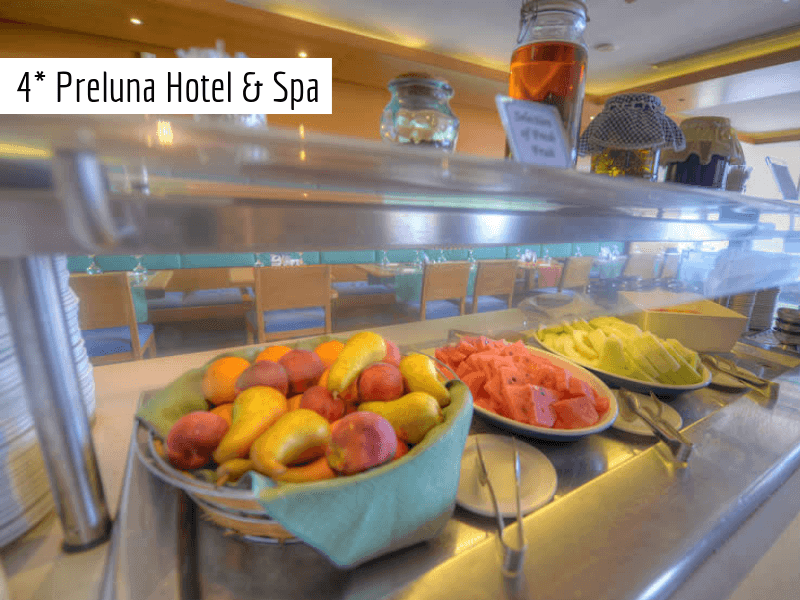 Tucked in a quaint and quiet corner on Tower Road and enjoying magnificent views of the picturesque St. Julian’s Bay as well as an indoor and outdoor pool, free of charge for its guests. 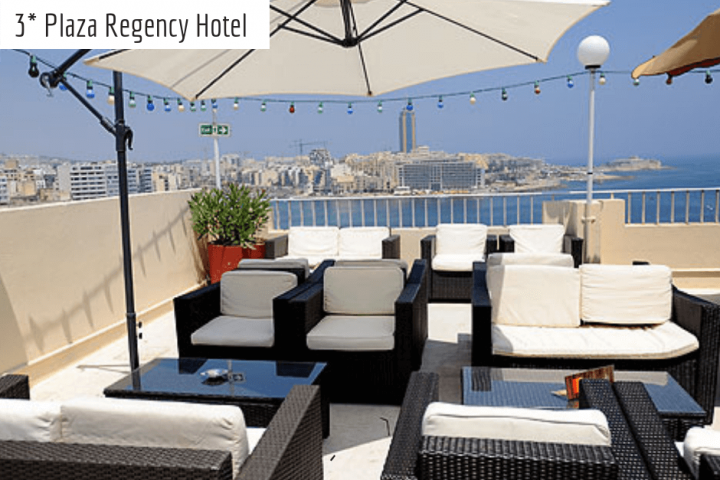 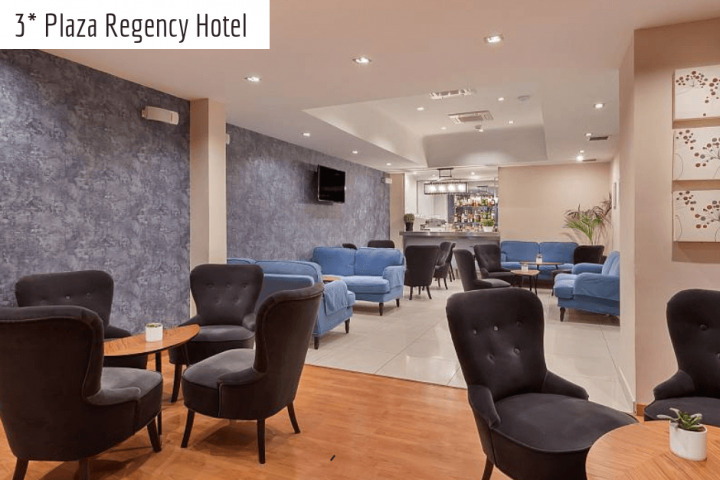 The hotels are a few minutes stroll away from the busy and bustling hubs of Sliema and St. Julian’s and the sizzling nightspot Paceville. 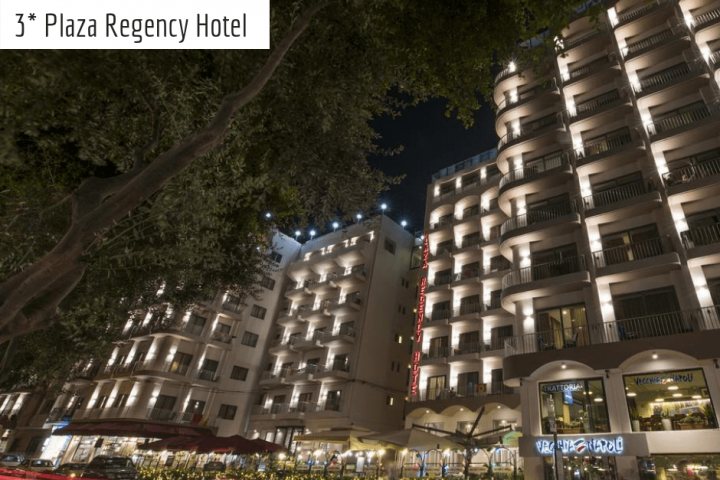 – Paceville is there to thrill and entertain until the early morning hours. 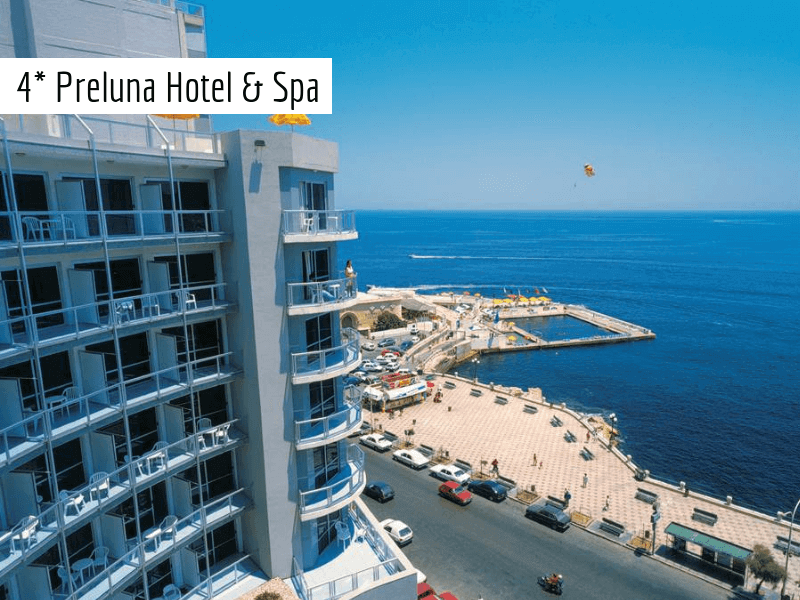 – A frequent public bus service to all destinations around the Island is located just outside the hotel’s main entrance. 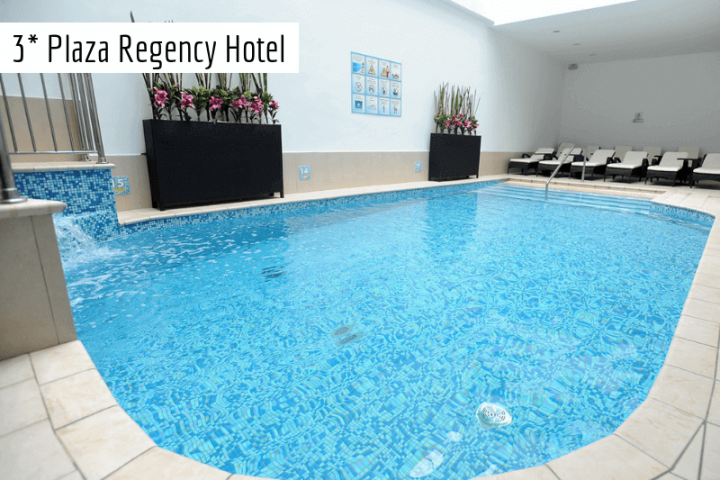 – Our Hotel offers a rooftop swimming pool and sun terrace. 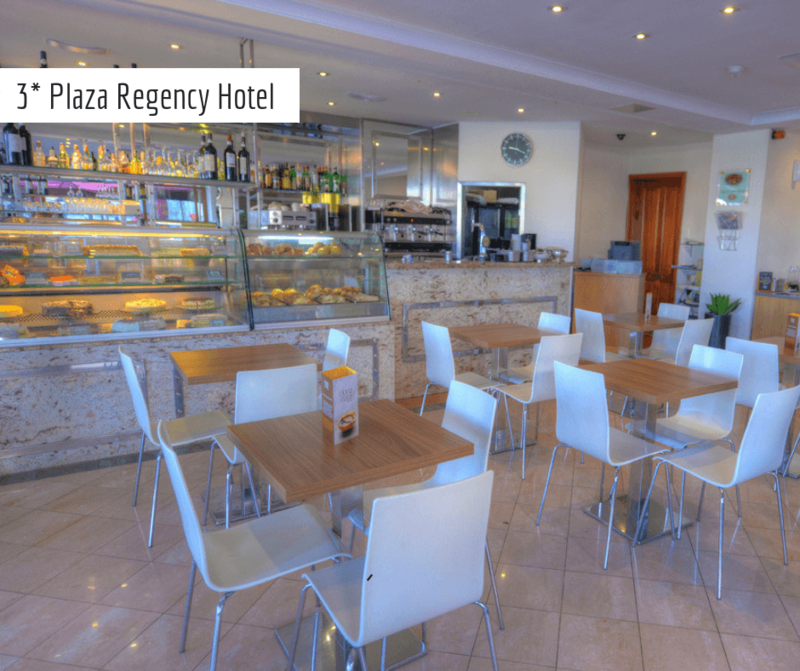 – Free WiFi is available in the lobby area. 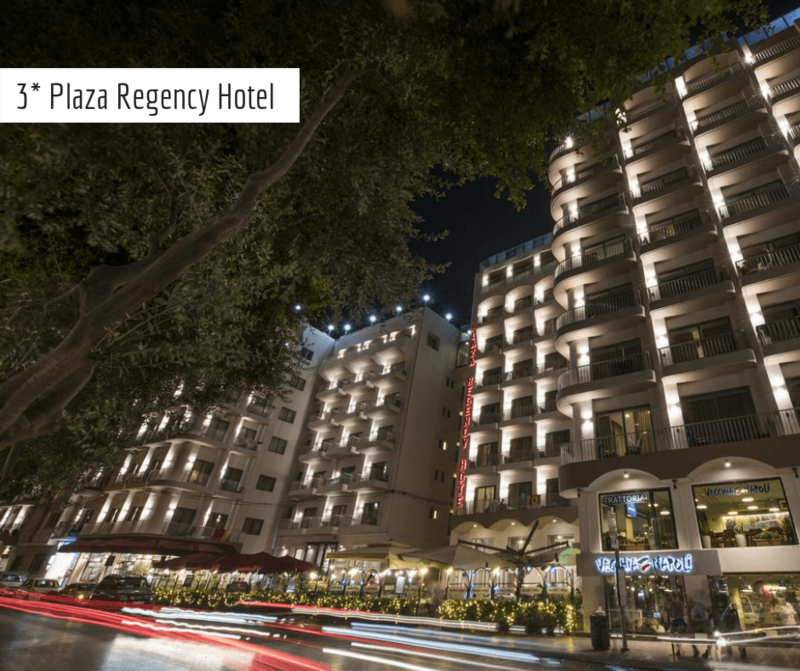 Our 3-star hotel comprises 2 different hotels connected by a bridge on the 6th floor. 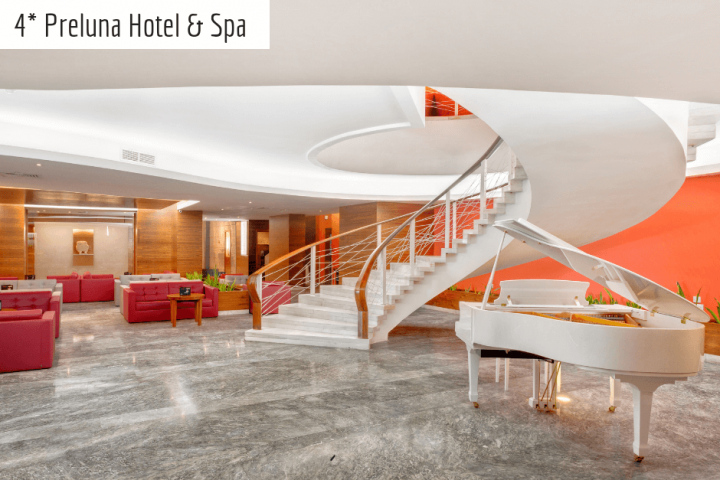 – All rooms are air-conditioned but have different styles, from classic to modern. 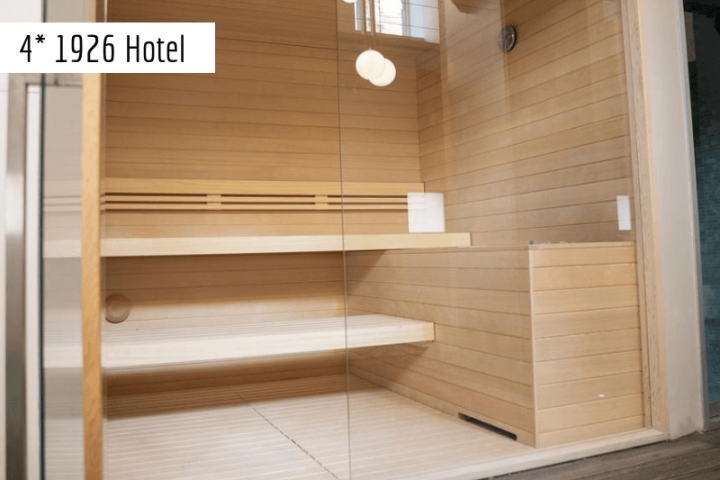 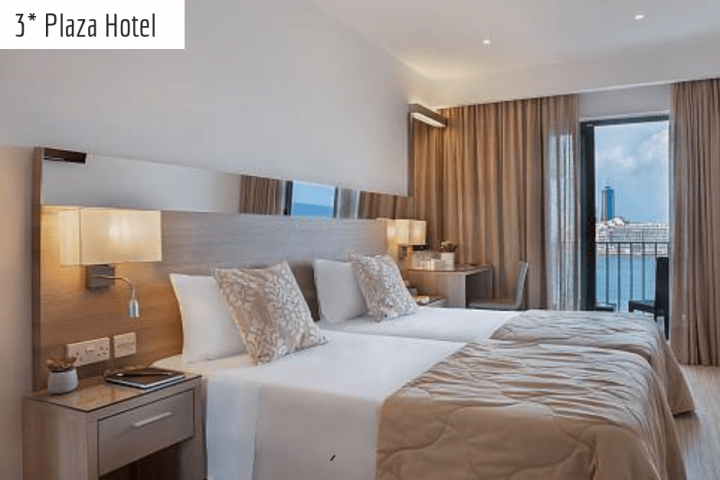 – The inland room is a default room in our holiday package. 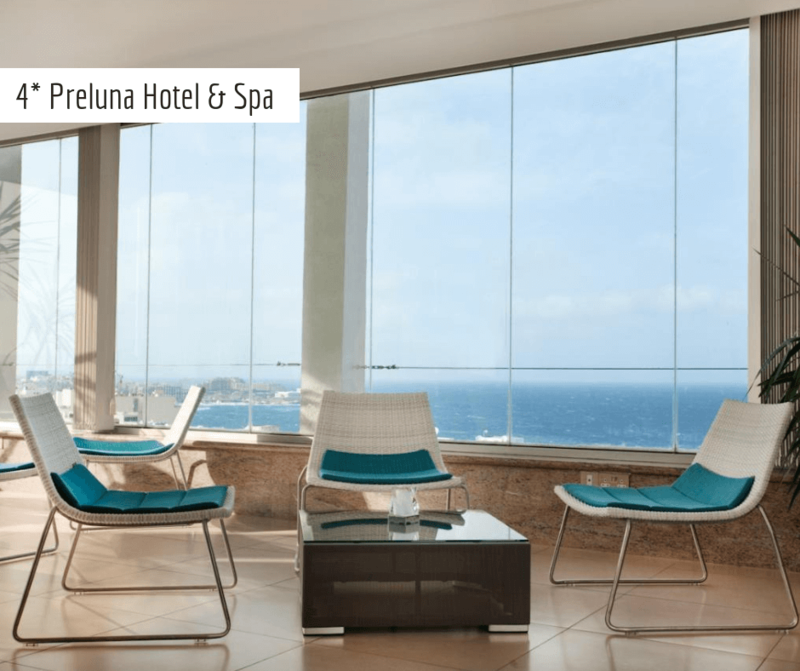 You might request a room with a stunning sea view at an additional charge, directly at the hotel. 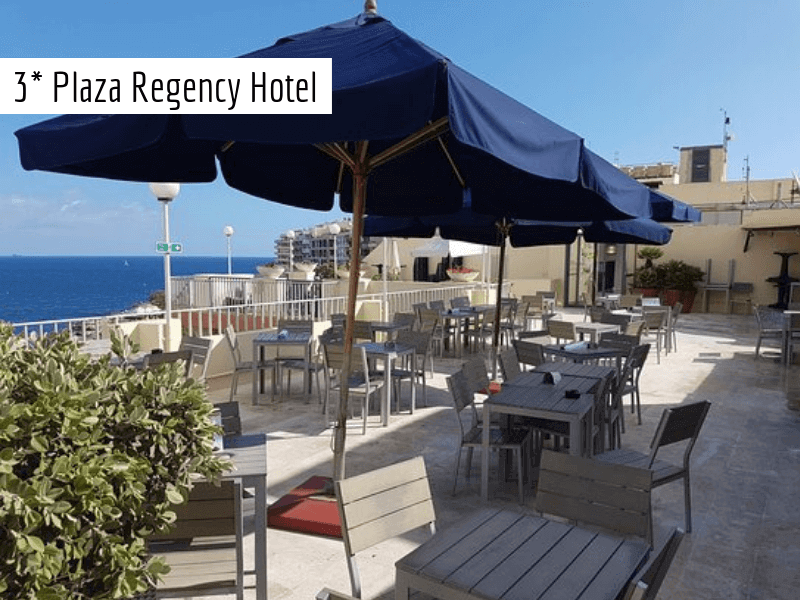 Featuring 2 bars, a pizzeria and restaurant, the hotels offer food and drink all day. 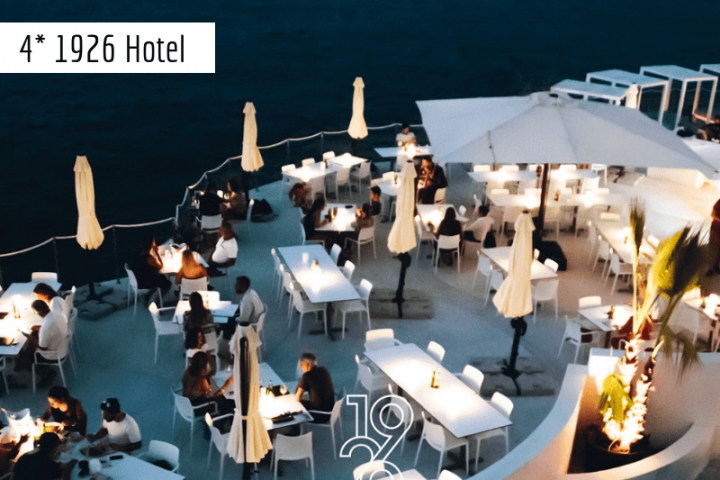 The rooftop is used for evening entertainment and a weekly barbecue. 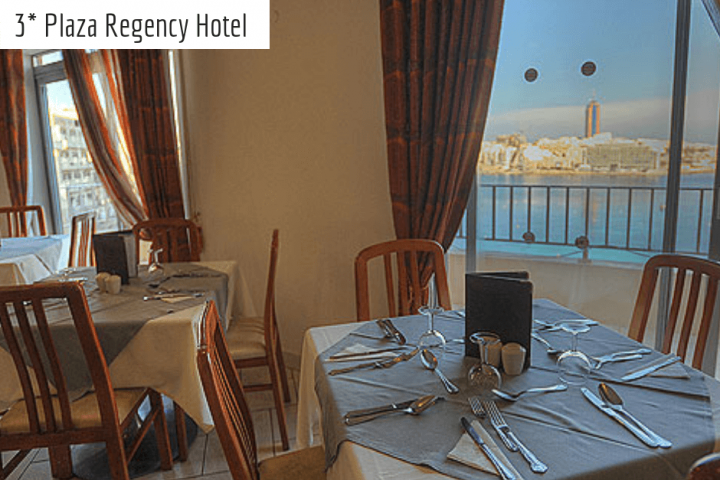 This hotel offers our guests a choice of 280 freshly decorated, spacious guest rooms and suites, spread on 12 floors, offering a choice of city view (included) and sea view rooms (extra charge applies). 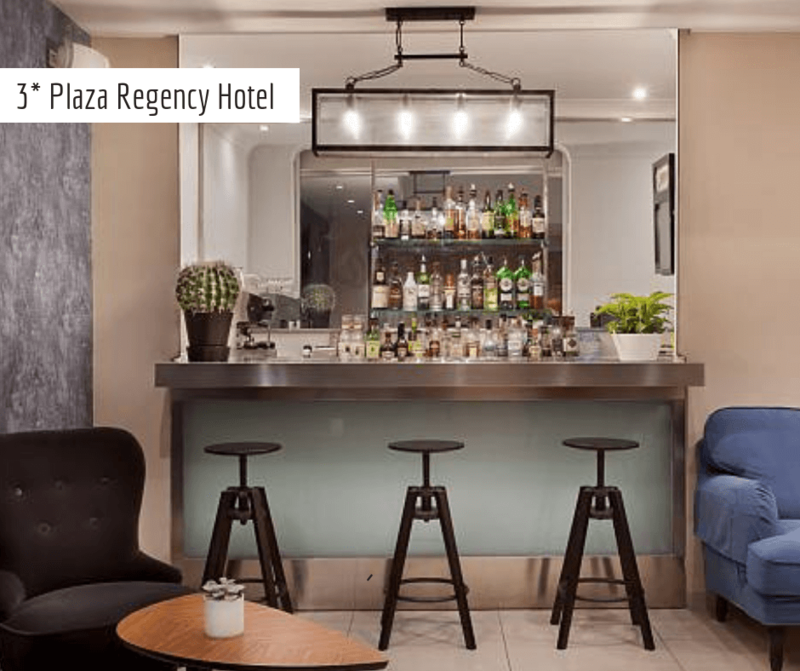 The central location means you will be staying, just minutes away from many of the city’s superb shopping centres and entertainment destinations. 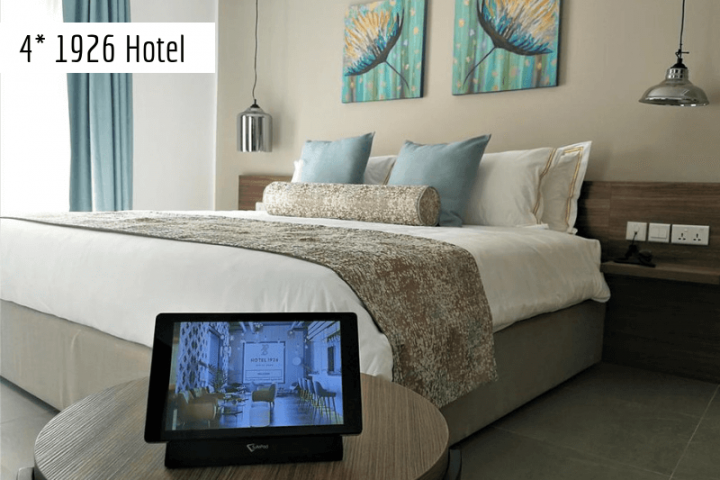 – free Wi-Fi is available throughout the hotel and in all rooms. 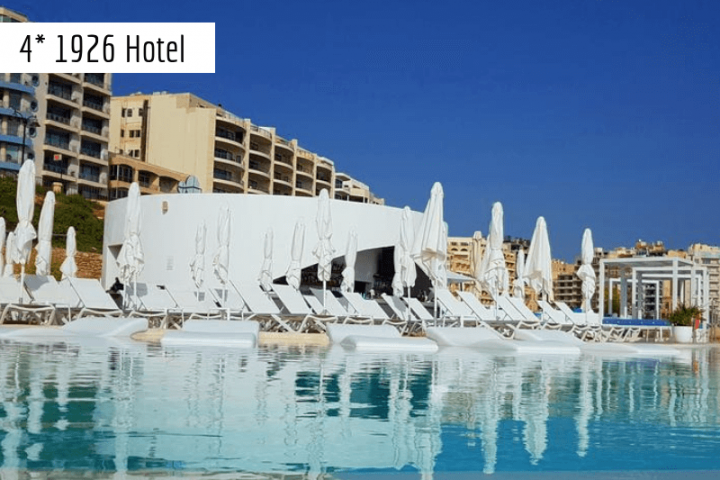 The well-equipped private beach-club features a large, salt-water, swimming pool, a kid’s pool, a bar and grill. 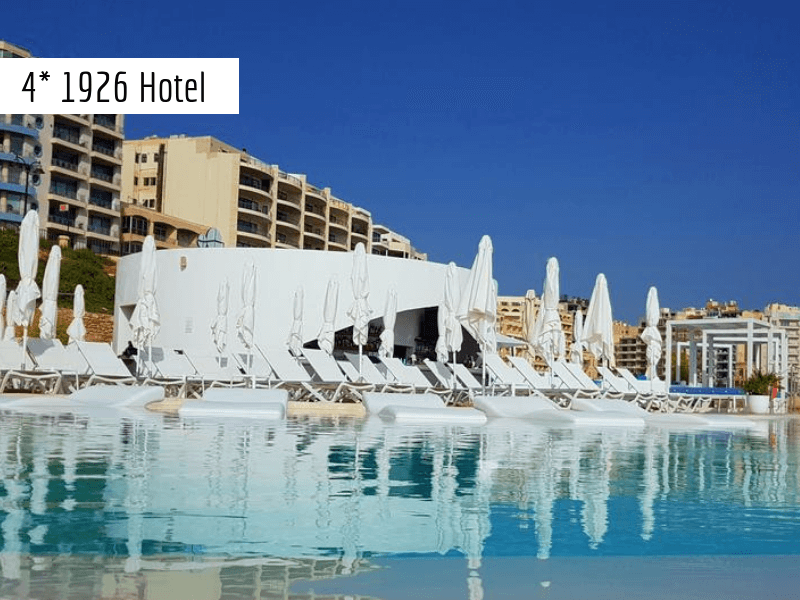 A diving school is available and a huge variety of water sports can be practiced. 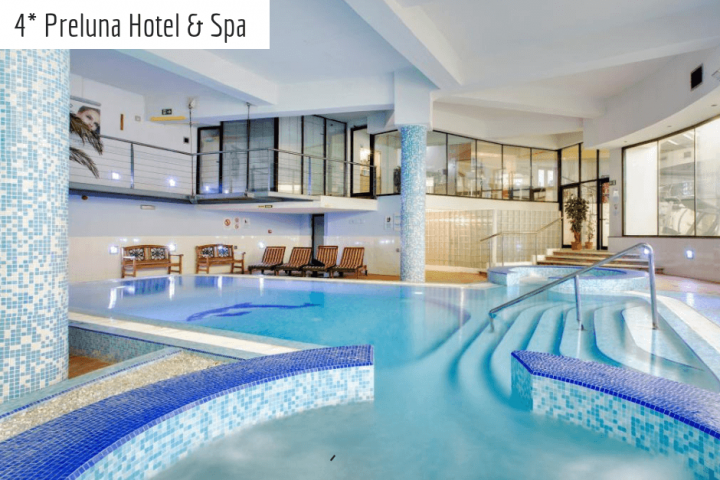 The Feelgood Wellness Spa includes an indoor swimming pool with two, large, hot tubs, and a wide range of fitness and relaxation facilities. 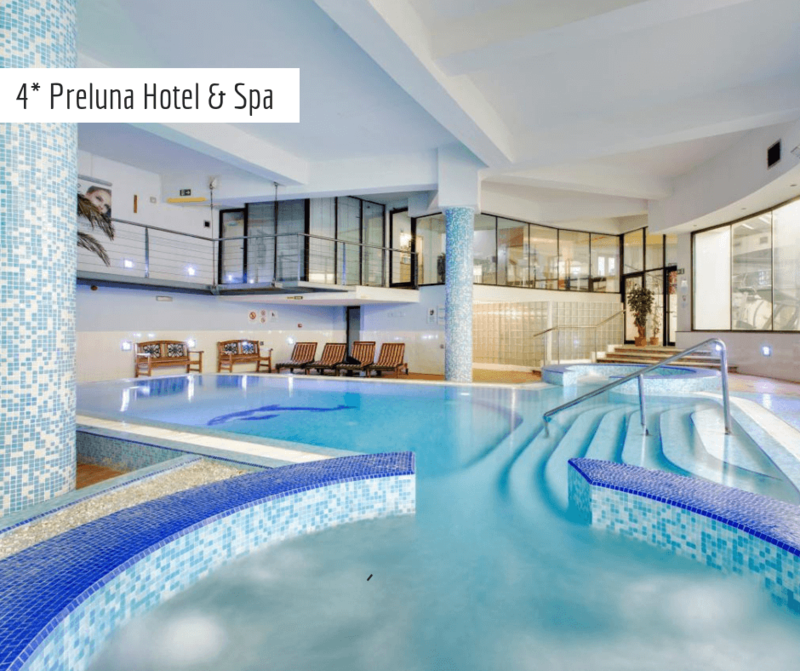 Outdoor hot tub is also available on Preluna’s stunning roof terrace. 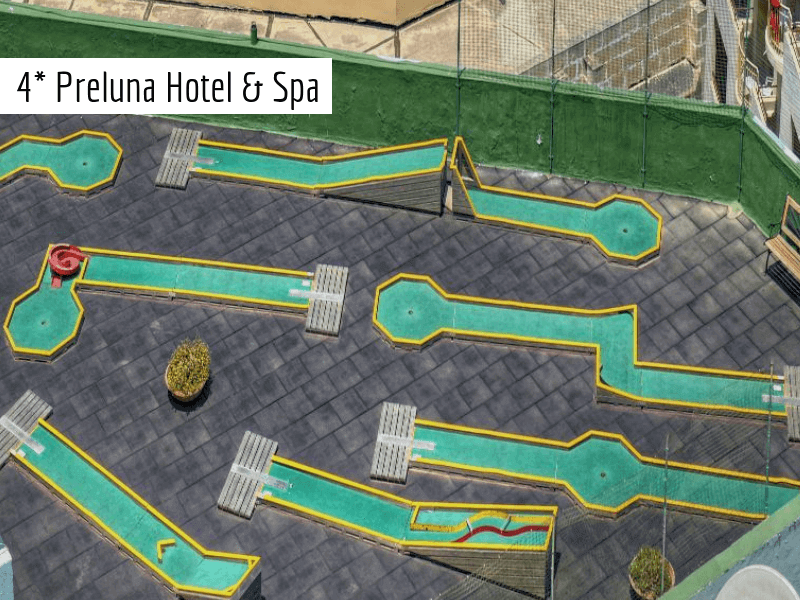 The mini golf course is available on the 7th-floor terrace. 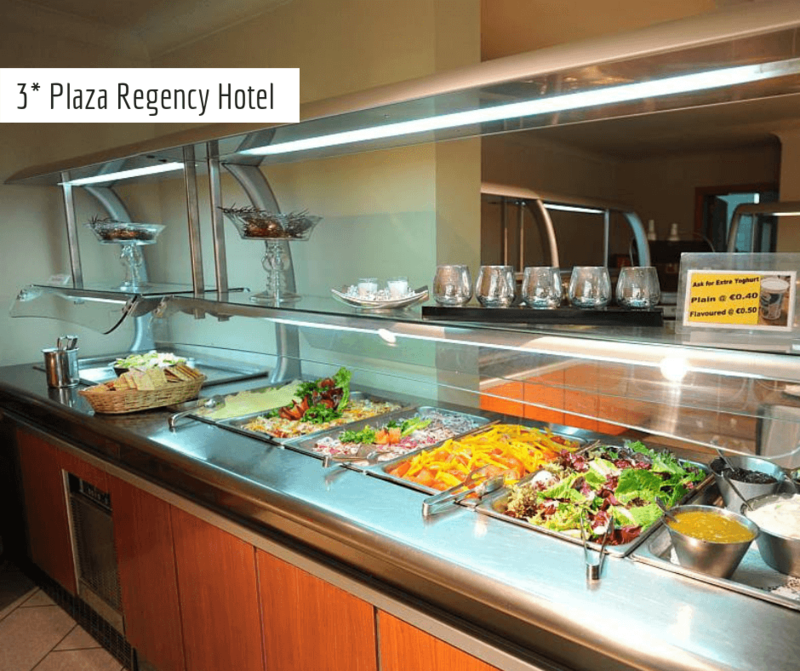 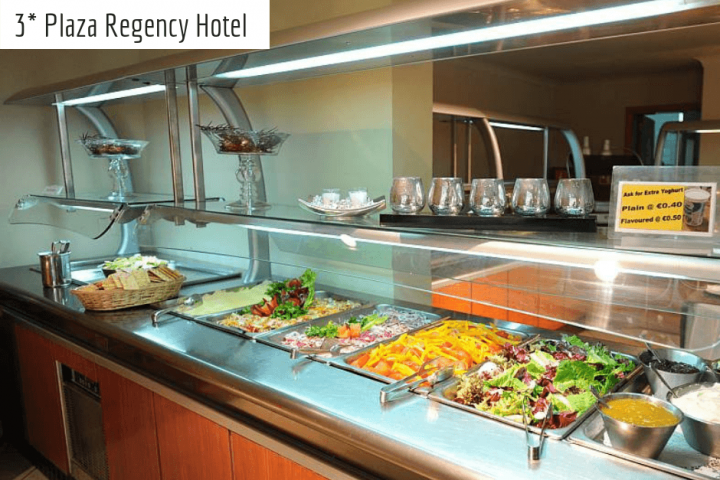 The Triton Restaurant, being the main restaurant, offers all buffet meals, from breakfast to lunch to dinner. 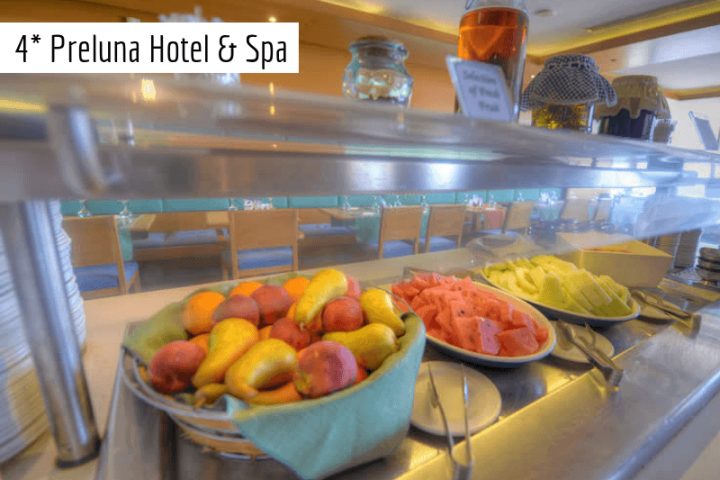 The other restaurants are specialized; one is Italian Cuisine, and the other is authentic Japanese Cuisine, and these are open only for lunch and dinner. 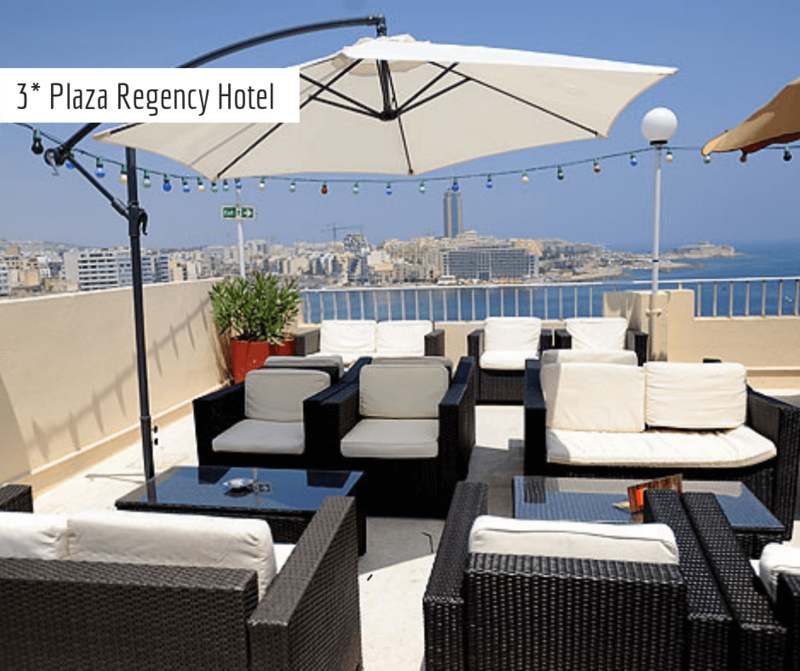 On a weekly basis, the Flavours of Malta evening is held, at the Towers Lounge, and is free for all in-house guests. 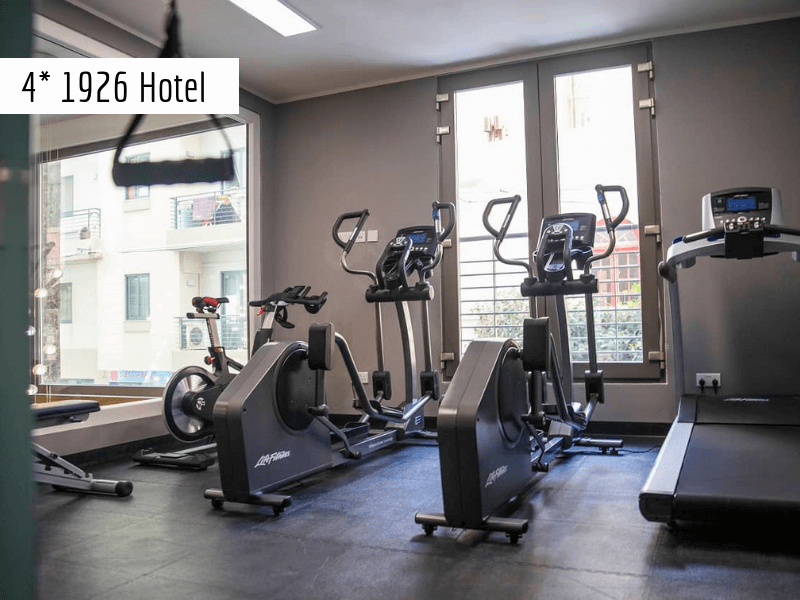 Located just 4 minutes by walk from our Training Centre, Hotel 1926 is a perfect choice for our most demanding guests. 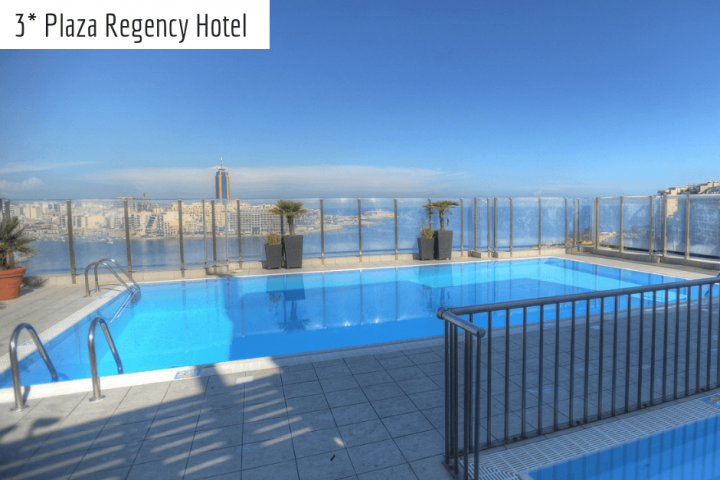 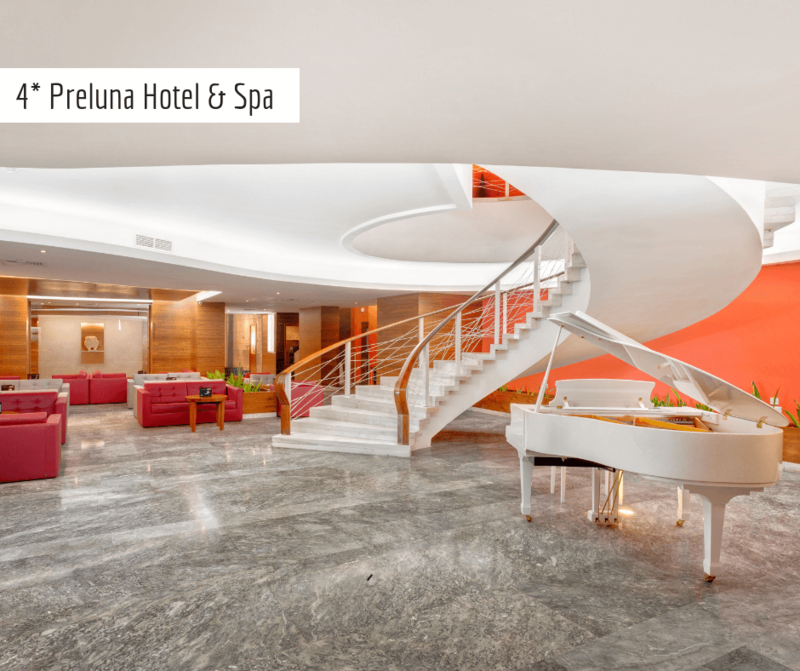 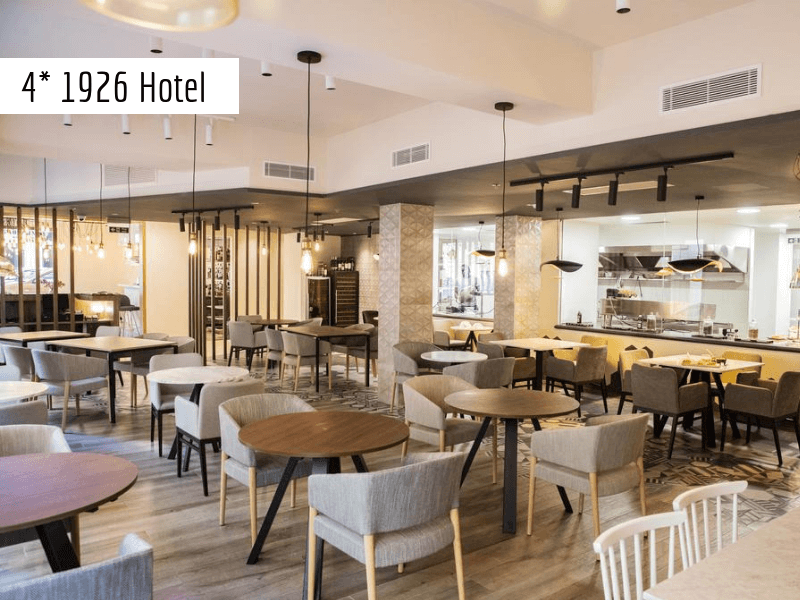 Opened in 2019, beautifully designed, located in the central city of Sliema, 200 meters from the seafront along with a splendid beach club on the water’s edge and a gorgeous view of the infinity pool and Mediterranean sea will satisfy all your needs. 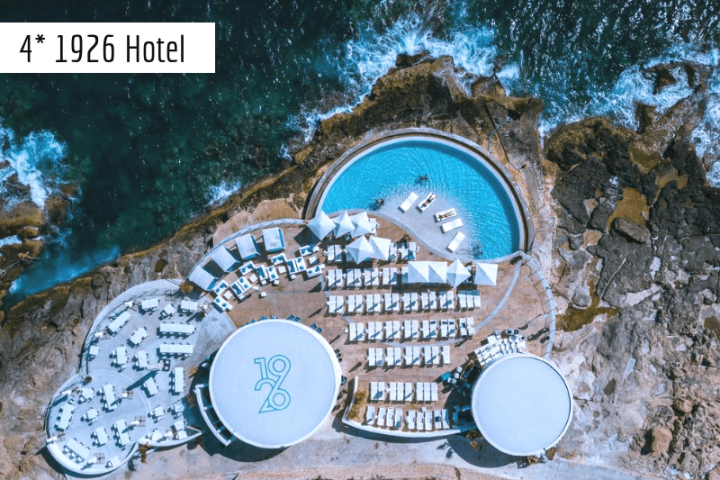 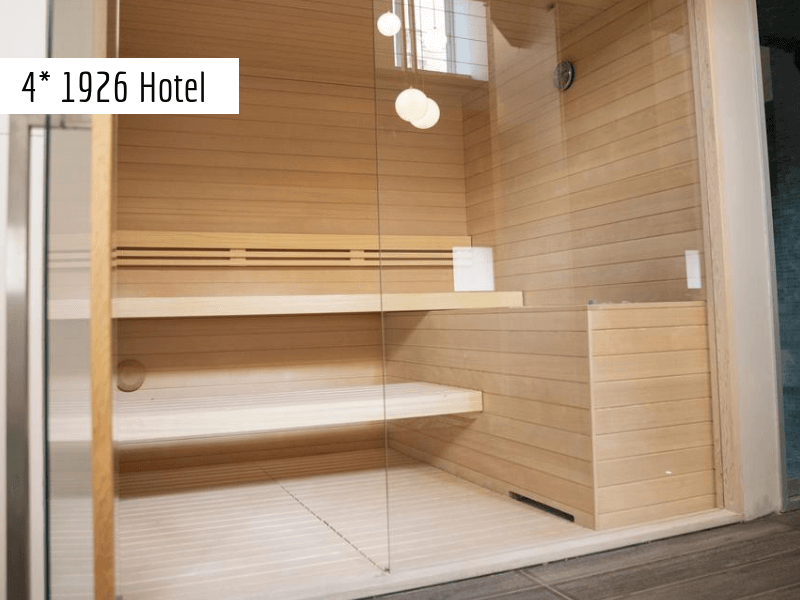 Hotel 1926 offers luxurious rooms and suites, some of which scenic views of VallettA, boutique Spa & wellness centre with an aquatonic pool, sauna, hammam, tepidarium, four treatment rooms and a fitness area. 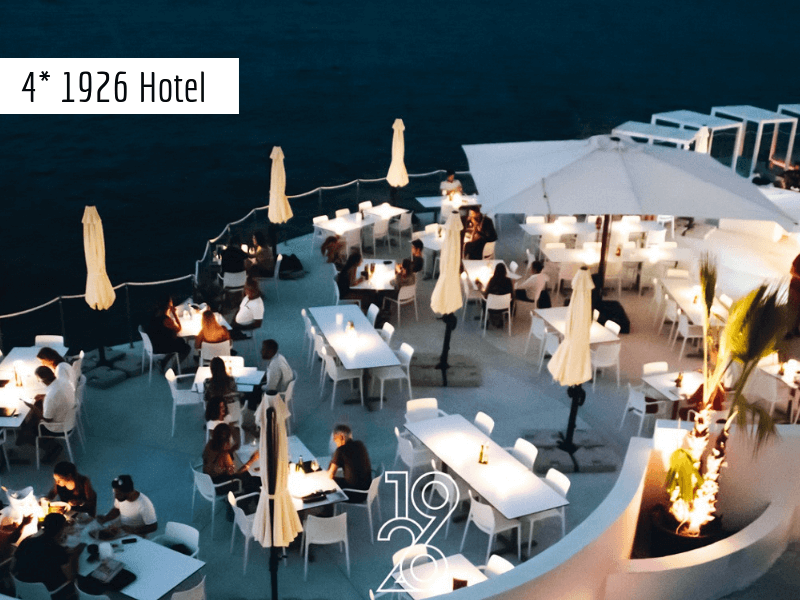 Hotel 1926 also invites you to a Chic Lounge, fine dining restaurant and a sky bar (coming summer 2019). 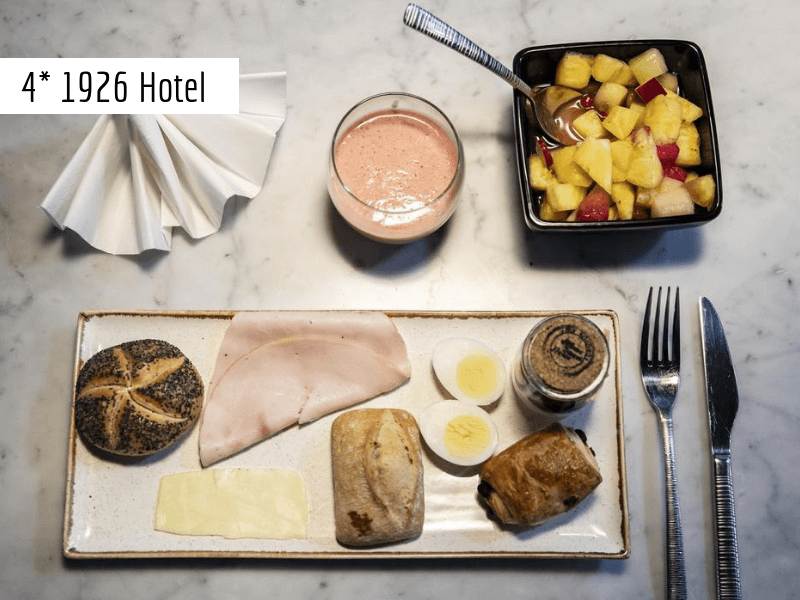 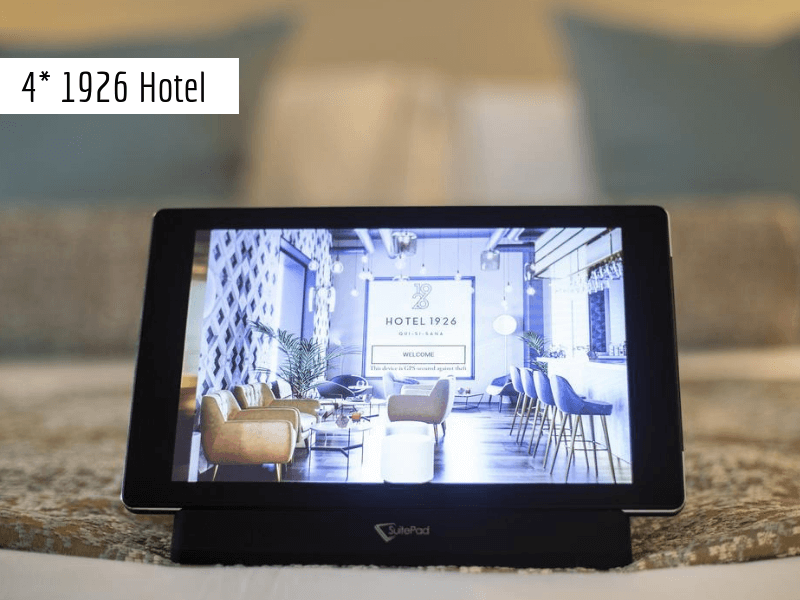 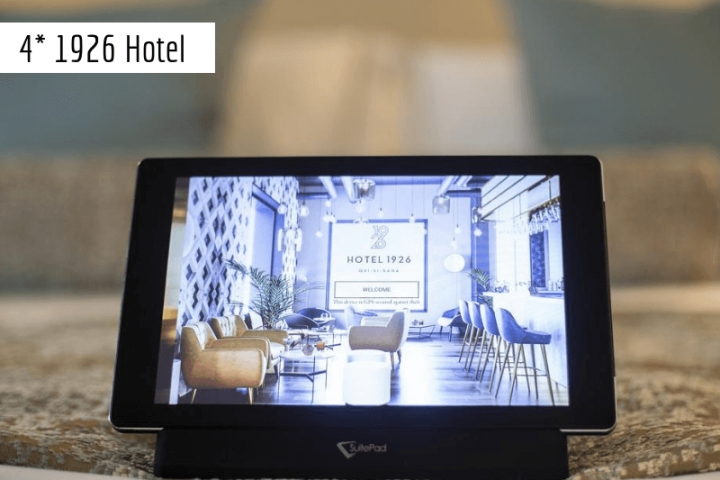 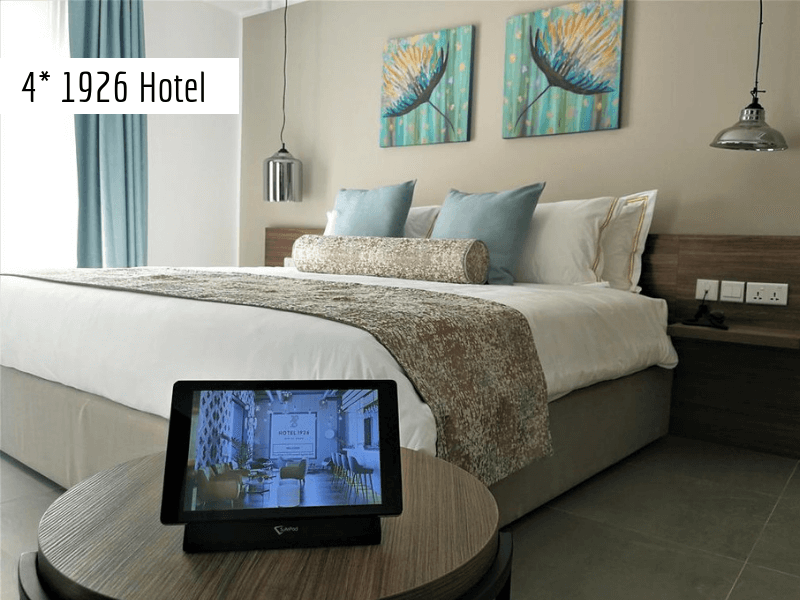 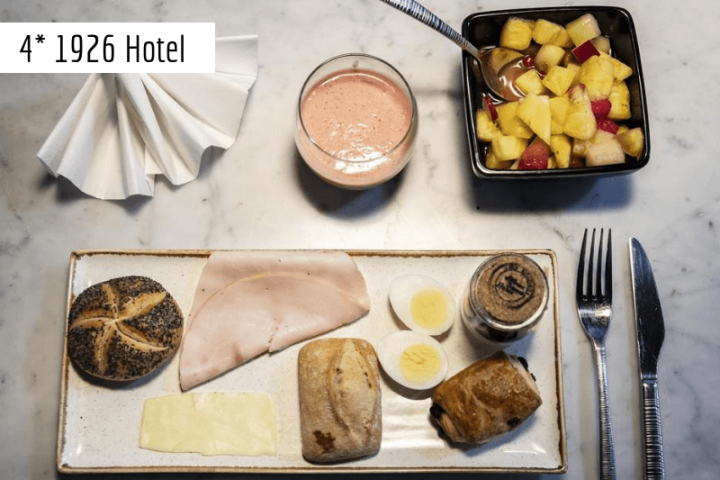 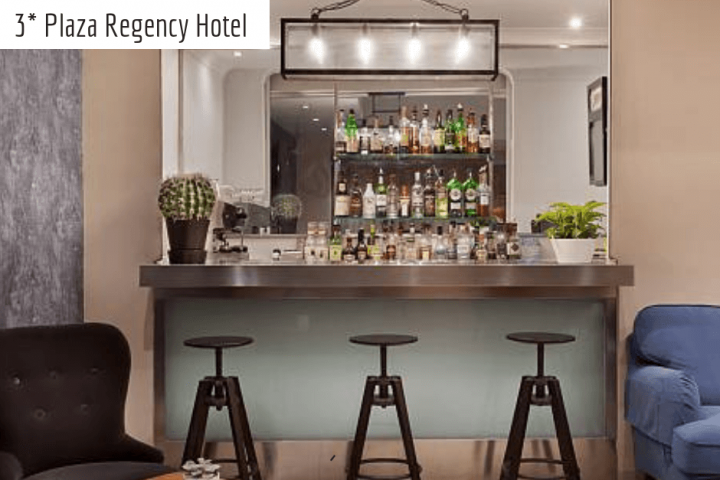 In addition, ECO friendly Hotel 1926 operate through smart design technology, including access control, energy management and SuitePad technology, eliminating the need for plastic and paper. 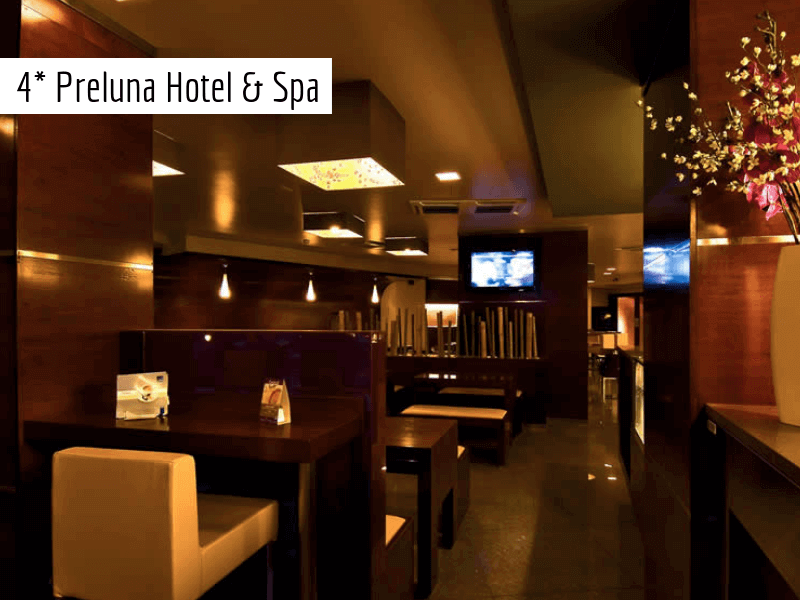 -Products by luxury local perfumer Stephen Cordina. 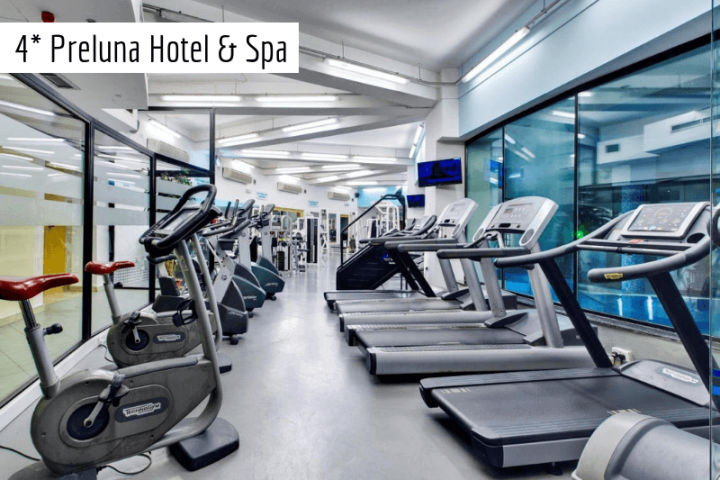 Hibernia Residence and Hostel is situated in a quiet location in Sliema and in only 15 min walking distance from our Training Centre. 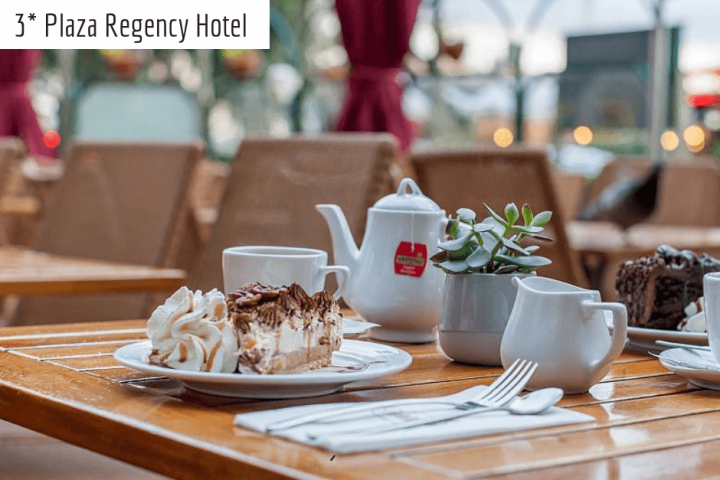 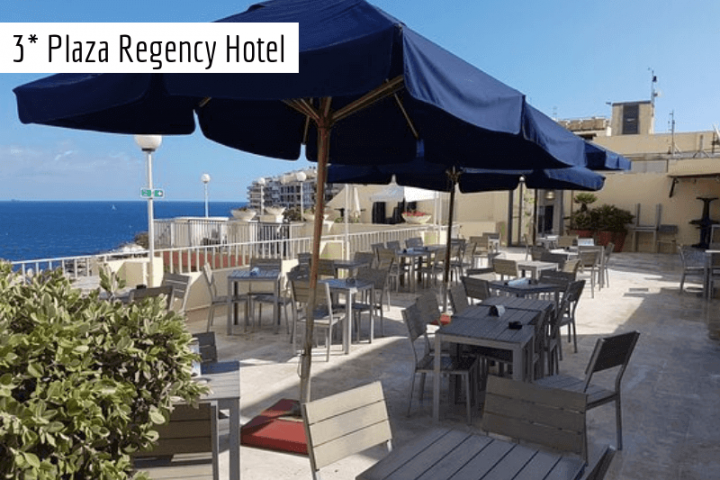 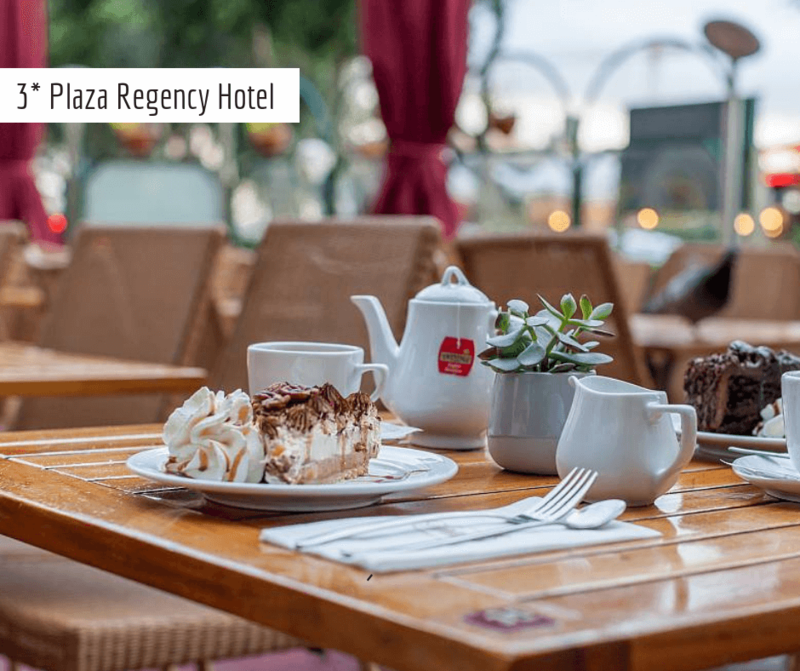 In the nearest neighborhood, there is Sliema Waterfront and a long promenade with all the cafes, bars, restaurants, shops are just around the corner. 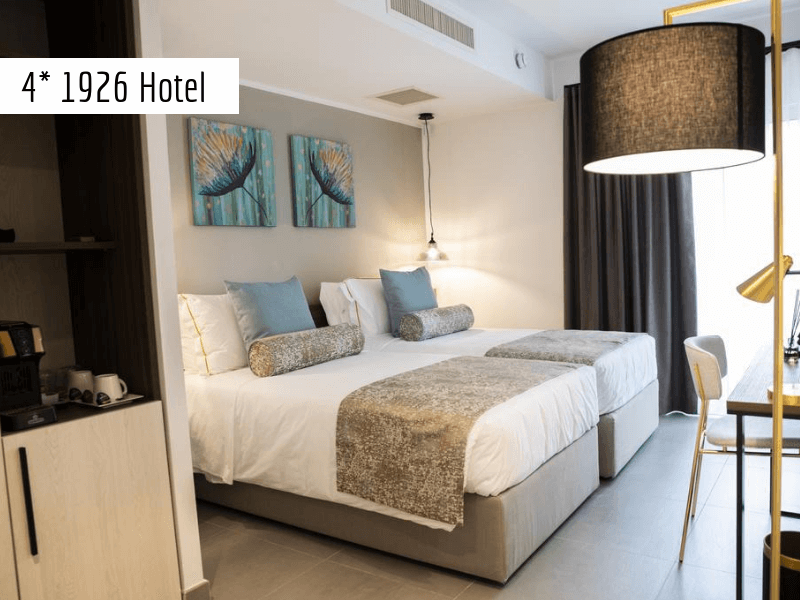 W offer accommodation in 2-people studios or shared studios (3 – 5 people) at the Hibernia are decorated in a simple, classical in style and furnishings. 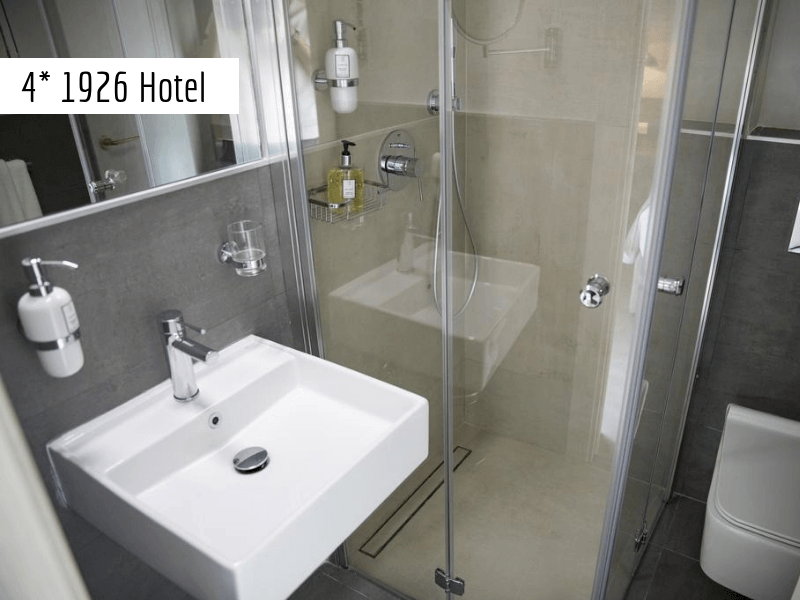 All with the kitchenette and bathroom. 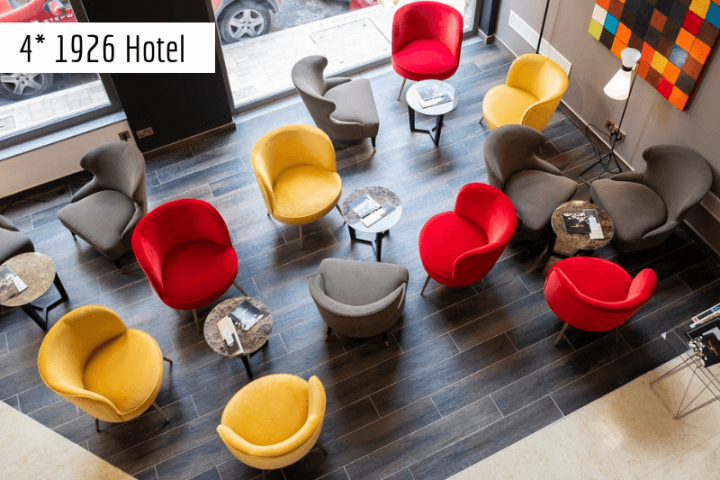 WHO IS THE HOSTEL FOR? 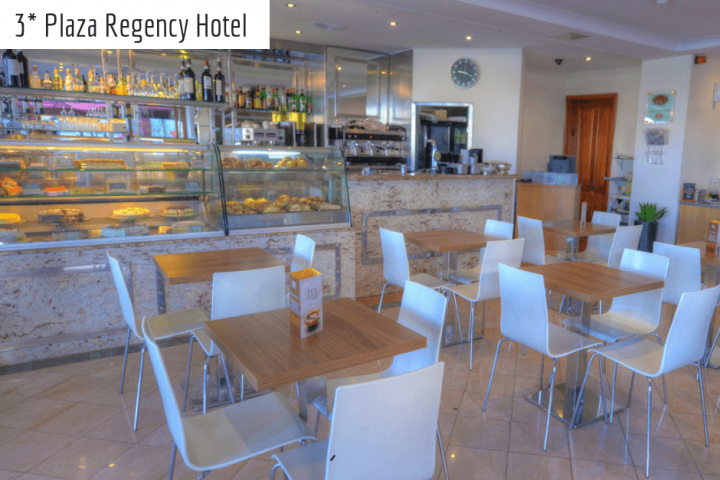 Our hostel is an ideal accommodation type for all single travellers on a low budget. 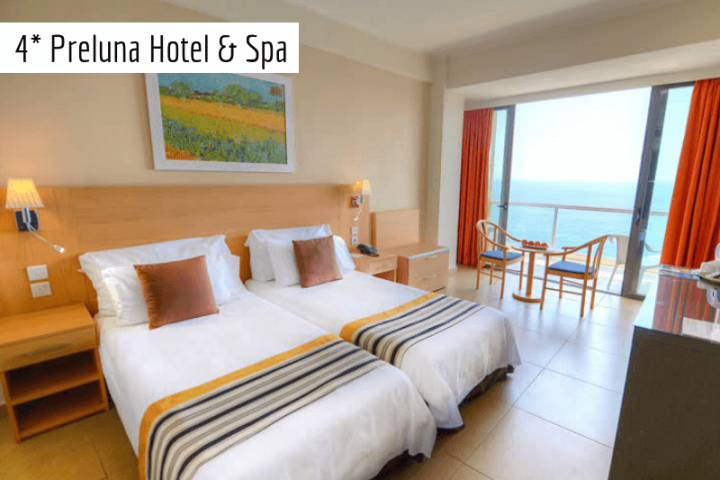 We recommend Hibernia to everyone who does not mind to share a room with others but to wish to share their holiday’s experience with new friends and meet new people from all over the world.